LONDON (Bloomberg) -- Faurecia is exploring a sale of its bumpers business, sources said, as the supplier seeks to free up resources to fund expansion in China. Faurecia, which is 51 percent owned by PSA/Peugeot-Citroen, is working with Citigroup on a potential disposal, according to people familiar with the matter, who asked not to be named because the negotiations are private. The French supplier is talking to private-equity firms as well as automotive suppliers to gauge interest, the people said. The bumpers unit may fetch as much as $450 million, the people said. The unit is part of the smaller Faurecia division that makes parts for car exteriors. The company, which has considered a sale for some time, may decide against a sale or struggle to find a buyer willing to pay a sufficient price, they said. Kate Philipps, a spokeswoman for Faurecia, declined to comment. Shedding the bumpers unit could help Faurecia free up resources as it expands in Asia. The supplier plans to open an average of seven plants a year in China, where it's seeking to more than double its revenue by 2018. Faurecia doesn't disclose sales for the bumpers business. The automotive exteriors unit of which it is a part generated 2.1 billion euros ($2.3 billion) in revenue last year, about 11 percent of the company's total. 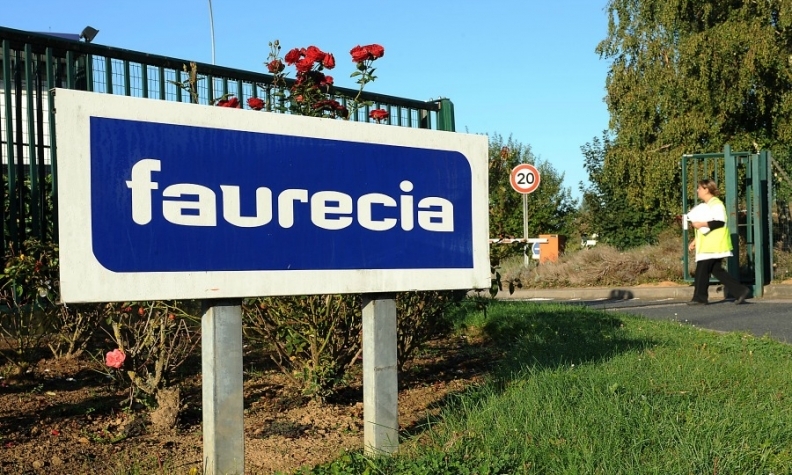 Faurecia is scheduled to publish first-half earnings on Friday.